The KR-1015 is an anchor roller specifically designed for use with the Rocna 10 kg and 15 kg anchors. Made from 100% USA Stainless Steel. The design offers adjustable roller wheel placement to fit each anchor size. Another feature is the adjustable quick release locking pin that will hold the anchor securely in place when stowed in the anchor roller. It also features a rounded bail that controls the rode, keeping it inside the roller. Salt Water test to 500 hours with no signs of corrosion or rust. Two finishes: High Buff is polished to a mirror finish or Electro Polished has a satin-like finish with great shine. Both finishes provide an attractive look that does not corrode and requires no maintenance. 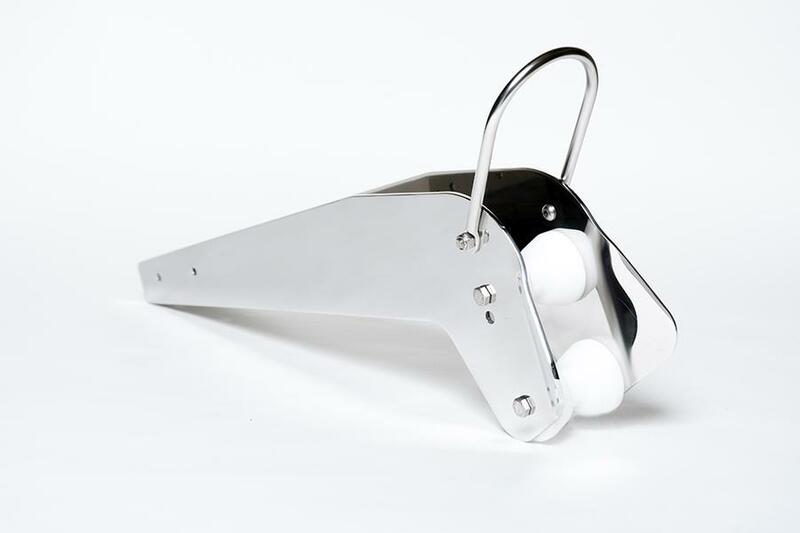 Anchor Match: Designed to fit the Rocna 10 kg and 15 kg anchors. Will also fit the Manson Supreme 25 lb and 35 lb anchors.